Between 2 and 8 November 2018, the Granada Chamber of Commerce organised a Tourism course specialised in Heritage Interpretation. Cicerone collaborated in this course, shining a light on the figures of Falla and Lorca, which alone are a good enough reason to visit Granada. 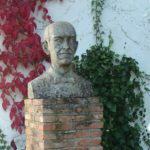 While in our city, Manuel de Falla became an influential figure and made great friendships here in Granada, including Fernando de los Ríos, García Lorca and Miguel Cerón, among others. He also organised the Cante Jondo competition, alongside other members of the “tertulia del rinconcillo” group. Today, we still conserve the last house in which Manuel de Falla lived before exile. It’s located in the Alhambra. 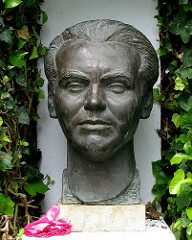 On the other hand, we have Federico García Lorca, Spanish poet, playwright and prose writer. He was the most influential and popular poet in 20th-century Spanish literature, who travelled around and influenced different cities and cultures, Granada in particular. Here’s one of his famous quotes, dedicated to Granada: “Granada is helpless before the people; for in the face of flattery, nothing and no one has any way of defending themselves”. 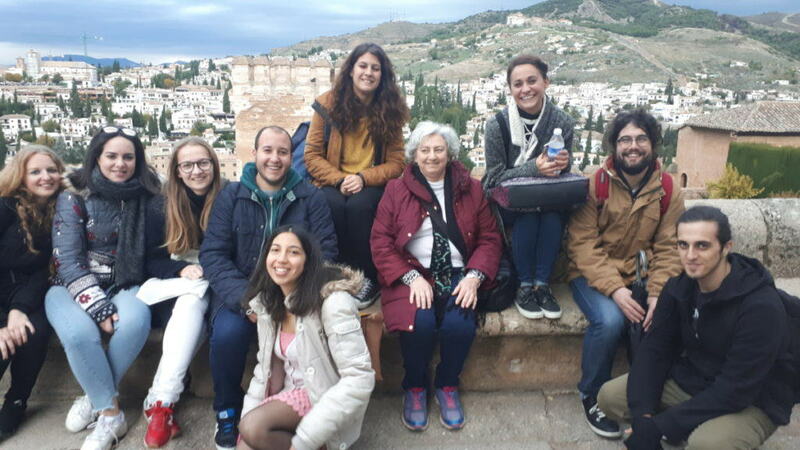 During the course, we showed students Federico García Lorca’s heritage resources around the city, in addition to the Alhambra, together with Manuel de Falla. We’ve proposed Falla and Lorca as the main theme, as well as being an innovative tourism resource. Jorge Morales is a Heritage Interpreter – a teacher with more than 30 years of Heritage experience who teached heritage interpetation techniques. Marta Bullejos holds a degree in history from the University of Granada. Every interpreter must take into account the heritage legislation and regulations, which is what her course offered. Mº Angustias García-Valdecasas has many years of experience as a Heritage Interpreter specialising in Granada and offered a workshop based on Falla and Lorca’s tourism resources in Granada. Andrés Soria is a professor at the University of Granada and expert in Spanish literature, with which he visited the Federico Lorca Exhibition and Granada from the inside. This is the first permanent exhibition at the Federico García Lorca Centre since the arrival of the poet’s important legacy in Granada. Gracía Peregrín is an expert in Granada and its heritage. With her current work at the Federico García Lorca Centre, she offered interpreters a tourism motivation workshop. We’ll leave you with a photo from the Alhambra that we took during the destination specialism and interpretation course in November.